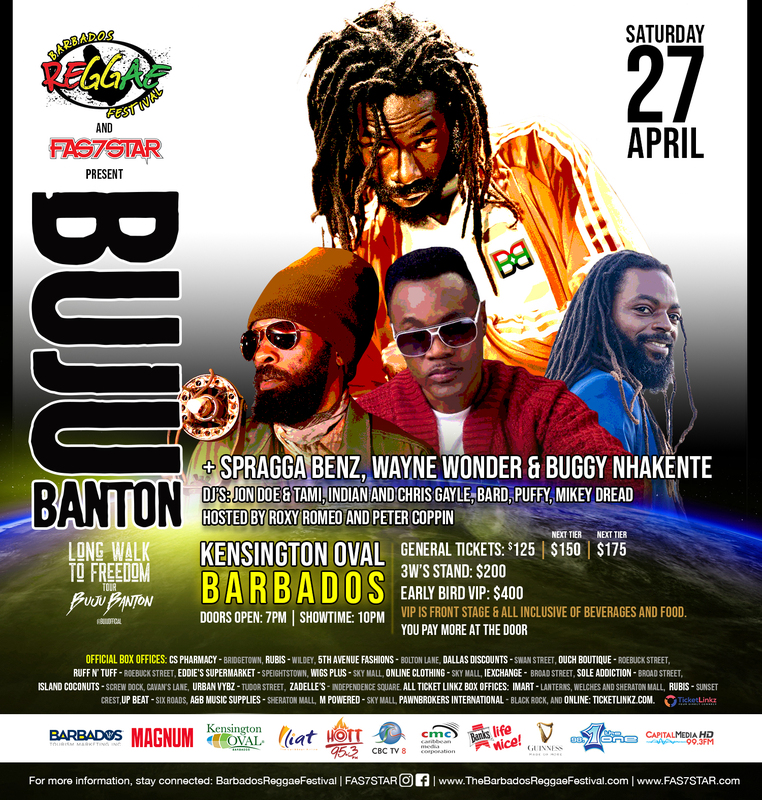 The Barbados Reggae Festival and FAS7STAR present Buju Banton: “The Long Walk To Freedom Tour” on April 27th, 2019 at the Kensington Oval, Barbados. Performing live: Buju Banton, Wayne Wonder, Spragga Benz and Buggy Nhakente. Doors open at 7pm and showtime is 10pm. General tickets: $125 | $150 (Next Tier) | $175 (Next Tier). Early bird 3W’S Stand: $200 | REGULAR PRICE $250. CaribbeanDays.com has luxury villas in Barbados! Come see what Barbados has waiting for you! Book your adventure with CaribbeanDays.